What Are Delinquent Student Loans? When you hear talk about Federal student loan delinquency, it’s incredibly important that you understand exactly what that term means, so let’s define it as plainly and clearly as possible. Your Federal student loan becomes delinquent the second you miss a monthly payment. As soon as your payment becomes late, your loan will be moved to delinquent status, and your loan servicer is going to start a whole host of processes that could end up costing you a lot of money if you don’t respond appropriately to this problem. The first thing to do if your loans are about to go into delinquency, or if they’ve already gone delinquent, is to contact your servicer to find out what options you have for getting them current so you can get back into repayment status. Should you fail to do that, and your loans remain delinquent for too long (270 days, or 9 months), then your loans will be moved into default, and you could face some serious financial consequences that you would definitely prefer to avoid. 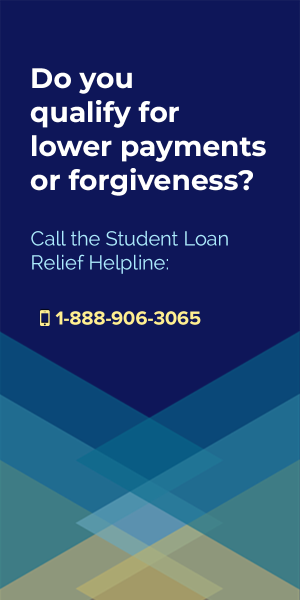 Before I go into all the details about student loan delinquencies, defaults, and the options you’ll have to get back into repayment status, let me make one thing clear: the fastest way to get effective help with your student loans is to call the Student Loan Relief Helpline. 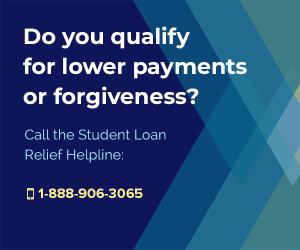 The Student Loan Relief Helpline is a paid service that helps borrowers like you figure out what your best options are for getting out of debt as quickly and affordably as possible, and they’re the ONLY company I trust to help my readers with their loans. The best thing about the Helpline is that it’s possible to call in, ask a couple questions and get some basic advice from them without spending a single cent, so the only thing you have to lose by calling them is a few minutes of your time. I always give the same advice to my readers: if you’re stuck on what to do with your loans, your best option is to call the Helpline, ask them what they’d do in your position, get a quote for what that would cost, then decide if you’d rather do it yourself, or simply pay them to take care of everything on your behalf. 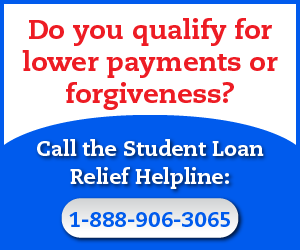 To get help with your loans now, call the Student Loan Relief Helpline today at 1-888-906-3065. Back to our topic of interest here – let’s talk about the basics before we move into the advanced processes. 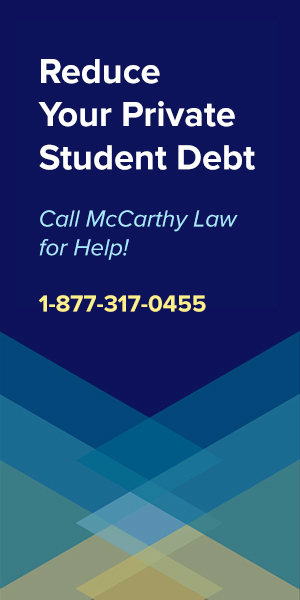 What is a delinquent student loan? What is a defaulted student loan? And what’s the difference between delinquent vs. defaulted student loans? I’ll explain these questions, and many other topics throughout this guide. But first, let’s make something really clear. 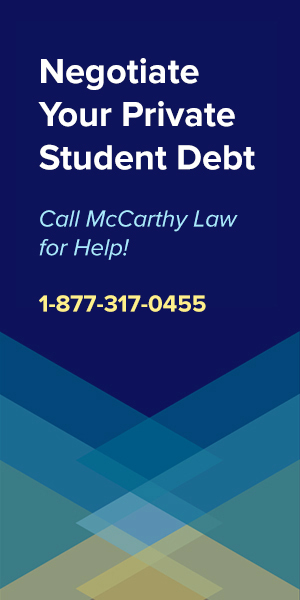 Delinquency is a term that only applies to Federal student loans. Private student loans never go delinquent, they only default, so if you don’t have any Federal student loan debt, then you’re probably in the wrong section of my site. If you need help with private loans, please visit my page about Private Student Loan Relief. Can I Ignore A Student Loan Delinquency Notice? If your loans go delinquent and your servicer sends you a delinquency notice, then it’s time to spring into action, because failing to do so is going to lead you down a road that you don’t want to walk down. If you don’t respond to the delinquency notice you receive, or if you do respond to it, but choose to tell your servicer to go fly a kite, then it’s highly likely that you will end up facing some serious financial repercussions that aren’t going to be pleasant. How Long Do I Have Before They Start Coming After Me? Eventually, whoever services your loans will get sick of you ignoring them, and you’ll get reported to a collection agency, who will then start working you over to try and collect the debt you owe. Usually, you’ll get a 15 day grace period before your lender of servicers starts assessing late fees on delinquent student loans, but you should know that this isn’t always the case, so don’t count on that. Like I mentioned earlier, the difference between delinquent student loans and defaulted student loans is that you don’t default on your student loan until you’ve been delinquent for 270 days (9 months), so your goal should be to deal with your delinquency before it gets to the default stage. Why? Because defaulting on your loans means that you’ll probably start getting hit with all sorts of financial fees, fines and penalties, but also that you’ll have far fewer options for fixing the problem of being late on your loans. It’s much easier to get back into payment from Delinquent status than it is from Default status. Before you can figure out what to do with delinquent student loans, the first thing you need to do is to determine exactly what type of loan you actually have. Why? Because different types of loans have different sorts of options when they go delinquent, with some being far easier than others to move back into standard repayment status. As soon as you find out that your loans have gone delinquent, you’ll need to take action in order to prevent things from spiraling out of control. If you haven’t already done so, go to the National Student Loan Data System and get all the information together about your Federal student loans. How many loans do you have? What kind of loans are they? Who’s holding them? Are you up-to-date with the payments? If you have Private loans, check your credit report for information about them. See if any of them have been reported to the credit bureaus for being late. Figure out who your Loan Servicer is for each loan, and start thinking about your options for consolidating or refinancing your debt – it’s not always a good idea, but often can be. Delinquent borrowers are often confused about what kind of student loans they have, how much they owe, etc., which is one of the reasons that those people end up in delinquency in the first place. However, it’s impossible to put together a game plan for dealing with delinquent loans if you don’t even know what your debt looks like, who you owe, how much you’re supposed to pay, how late you are on those payments, etc. In fact, before your loans go delinquent, it’s a good idea to aggregate all this information so that you’ll always be fully informed about the state of your debt. Check out the National Student Loan Data System, collect up all your information, and write it down somewhere so you can refer to it again later. Take a look at the student loan checklist from Edvisers.com to see the sorts of information you should be collecting about each of your loans. To get your loans out of delinquency, the main thing you’ll have to do is send payments to the lenders in order to get caught back up. If you’ve missed one payment, you’ll need to know that, and you’ll also need to know how much that payment was for so you can determine how much you need to pay to get out of delinquency. If you’ve missed more than one payment, you need to figure out how much you owe for payments, plus any late fees or delinquency fines that may have been applied to your loan, otherwise simply issuing your normal monthly payment may not actually help. Contact your servicer and ask them if you’re up to date with your payments. If you’re past due, call the loan holder and work something out before they report you to a credit agency, because that’s when things start to get much, much worse. Normally, you won’t get reported to a credit agency until your loans have been delinquent for at least 90 days, but again, there’s no guarantee they won’t report you right away, so it’s best to take care of this as soon as possible. The closer you are to being 90 days past due with your loans, the faster you need to make that call and get settled up. If your Federal loans have gone delinquent, but you haven’t defaulted on them yet, then you’ve still got lots of options for preventing that from occuring. Your best options are to pay up whatever amount is overdue (this is the best option), or to file for a forbearance, a deferment, or to switch to an Income-Based Repayment Plan (especially if you aren’t already on one, and it could reduce your monthly payments). Keep in mind that Forbearances and Deferments are usually only a good idea if you have a subsidized loan, which is a type of Federal student loan that covers the interest accumulation costs while you’re in Forbearance or Deferment. 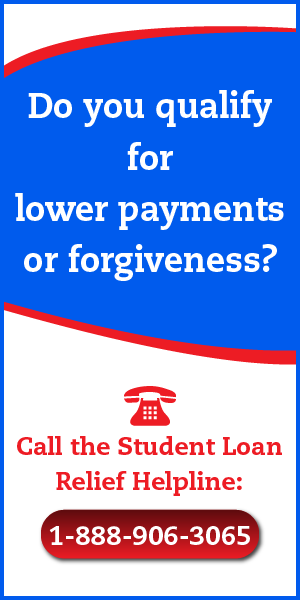 If you file for a Forbearance or a Deferment, but you have an Unsubsidized Federal Student Loan, then even though your monthly payments are paused for the duration of the Forbearance or Deferment, interest will continue to accumulate each month, and you’ll end up owing more than you would have had you kept making those monthly payments. In most cases, the best way to deal with your delinquency that hasn’t yet turned into a default is to contact your loan servicer and ask them for details about which options are available to you, and to ask for advice on which ones will save you the most money (in the short run, as well as the long-term). Your Federal Loan Servicer is legally obligated to provide you with accurate information about your loans, including giving you good advice on how best to move your loans back into repayment status, ending your delinquency. Believe me when I say that you do not want this to happen, because while some people think it’s no big deal to default on student loans, I’m here to say that it can and often is a massive problem. Why? Because first off, it’s hard to move loans back out of default and into repayment, since it requires negotiating with whoever you owe money to that you’re going to send them a big payment, agree to some new payment plan, and live up to that promise. Failing to convince them of this, you’ll be stuck in default, which means losing your access to all the amazing Federal Student Loan Forgiveness and Federal Student Loan Discharge benefits (like the Borrower’s Defense to Repayment Program or the Closed School Loan Discharge Program) offered to people with loans that are still in repayment status. Also, when your loans are in default, the lender can basically send them to collections, which allows a collection agency to come calling, sending you snail mail, or even confronting you in person to demand payment. 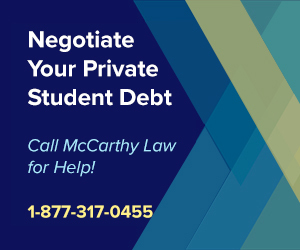 You could even face Student Loan Wage Garnishments, Property Liens, Tax Liens, and other financial problems as a result of your defaulted loan, including fines, penalties and fees that can significantly increase the size of your total outstanding debt. Basically, you really don’t want to default on your loans, so I recommend doing anything within reason to prevent your loans from defaulting. If you’re extremely lucky, then your defaulted Federal student loans may end up being eligible for a Federal Student Loan Consolidation or Student Loan Rehabilitation Program, but you need to keep in mind that these are relatively rare occurrences, and that for most people – going into default means being in some serious hot water. How Can I Fix Delinquent Student Loans? As I mentioned earlier, having your loans go into delinquency certainly isn’t good, but in many cases, it isn’t likely to lead to huge financial repercussions, because getting back out of delinquency is typically a relatively easy thing to do. In fact, as long as you act quickly, most delinquent Federal student loans won’t create any long-term problems at all, because you can simply pay whatever amount you owe to get back into repayment status. The easiest way to get your loan out of delinquency is to simply catch up on any payments you’ve missed by coordinate a new payment schedule with your lender or loan servicer. All you need to do is contact whoever’s servicing your loans to tell them exactly what you intend on doing – getting your loans back into repayment and out of delinquency, and ask them how much you need to pay, and when, in order to do this. Your servicer is highly likely to allow you to make the missed payments and put your loan back into repayment status, because they don’t want to miss out on the money that you’re offering, and they certainly don’t want to deal with your loan going into default, which means they’ll probably end up having to sell it at a loss to a collections agency. This is an obvious option, but one that very few people can actually afford to do. However, if your loan is in delinquency simply because you forgot to make payments, or if you just happen to have a bunch of money sitting around, then the fastest way to get your student loans out of delinquency is going to be to simply pay off whatever you owe on the loan. However, if you’re reading this post, then we can probably assume that you won’t have the money to do that, because you would have paid off the debt already instead of Googling for an answer to your dilemma and ending up on my site. But if you do have the money, and you aren’t afraid to use it, the best way to get your loan back out of delinquency will be to simply pay it off entirely, or at least to settle up by paying whatever amount your loan servicer says you owe. Federal student loan forbearances and deferments are ultra-powerful programs that allow you to basically put your loans on pause, meaning that you won’t have to make any monthly payments toward your debt until the forbearance or deferment period ends. Here’s the thing though – some types of forbearances and deferment are awesome, because they really put everything on pause, while others aren’t that great, because they won’t require you to make monthly payments, but they’ll continue to rack up interest charges, which are going to get capitalized (added to the total balance of your loan) as soon as the forbearance or deferment period ends. What’s that mean? It means that if you get a forbearance or deferment that doesn’t cover your interest charges, and you don’t pay anything to cover those interest charges as they’re accumulating while your loans are paused, you’re going to end up owing way more than you did at the end of the forbearance or deferment period than you did at the beginning. In fact, remember that you got into this mess in the first place because you couldn’t afford your monthly payments? After your interest is capitalized and your monthly payments are recalculated, they’re going to be even higher than they were when you originally couldn’t afford them, so you’ll be in an even worse long-term position. Moral of the story here is that you only want to use a forbearance or a deferment under certain conditions. For details on how these programs work, and on how to determine if they’re the right option for you, please visit my pages about Federal Student Loan Forbearance Programs and Federal Student Loan Deferments. This is a great option, but only if you qualify for it. To tell you the truth, tons of people do qualify for Federal student loan forgiveness benefits, but very few people actually know about how these programs work, let alone how to apply to them and start using the financial assistance that they provide. I have a page devoted entirely to Federal student loan forgiveness programs (find it here), so if you’re interested in finding out whether or not you qualify for any of these excellent benefits packages, and you need to do is navigate your way on over there and review the opportunities on offer. Just be sure to read the content throughout my site carefully, because tons of people do a little light reading, decide they’ll never qualify for any Federal benefits, then give up on the process… even when they actually do qualify for one of the excellent programs on offer. What is Student Loan Consolidation? Simply put, consolidation is the process of combining several loans into a single loan, which typically comes with a new, lower interest rate, and potentially other benefits as well. However, you need to know that Federal Student Loan Consolidation is a double-edged sword, and a process that should be viewed with a healthy amount of skepticism. In fact, consolidation may be an opportunity for some people, but it’s a terrible trap for others. Why? Because consolidating your loans often means changing them in a way that’s impossible to undo, and can mean losing access to all the amazing Federal Loan Forgiveness and Loan Discharge opportunities available to those with Government-backed debt. While most student loan-related websites and even TV Commercials are now pushing the consolidation and refinancing option as your best bet, the reality is that this process may be easy, but it’s irreversible, and should only be considered under certain situations. In those cases where a loan consolidation does look like a good idea, the nice thing about the consolidation process is that it’s a great way to get your loans back out of delinquency, because many lenders will allow you return your loans to repayment status as long as you agree to consolidate several loans into a single, larger loan, and agree to new loan terms. And if consolidation is a good option for you (find out how to determine that by going to my page about Federal Loan Consolidations, here), then the really good news is that it’s probably the fastest way to remove your loans from Delinquency, short of cutting a check for whatever amount you’re behind on paying. When is it a Good Idea to Consolidate Federal Loans? To find out if a loan consolidation is right for you, you’re going to need to do a fair bit of research, and you’ll absolutely want to check any questions you might have about the future status and eligibility of your loans with your servicer, and with someone from the Department of Education. DO NOT consolidate your loans simply because you saw a TV Commercial or read a Blog post saying that it’s the best idea, or only solution to student debt. These are lies being peddled by scammers who do not have your best interest in mind. Just because they look friendly and pretend to be on your side, doesn’t mean they actually are. Any time you’re being pushed to consolidate, keep in mind that someone is making money off the transaction, so if you’re being told “Consolidate or Refinance, or else”, then realize you’re being attacked and stop listening to whoever is pushing that message! Student Loan Consolidations and Federal Student Loan Refinancing Programs definitely do have their place in the proper handling of your loans, but for many people, they’re simply a terrible option that’s only going to make things worse. You voluntarily make 3, on-time monthly payments on the defaulted loan before you consolidate it. This allows you to choose any of the Direct Consolidation Loan repayment plans. Can You Reconsolidate a Defaulted Consolidated Student Loan? Yes. However, the procedure for doing this differs depending on the type of consolidated loan you have. 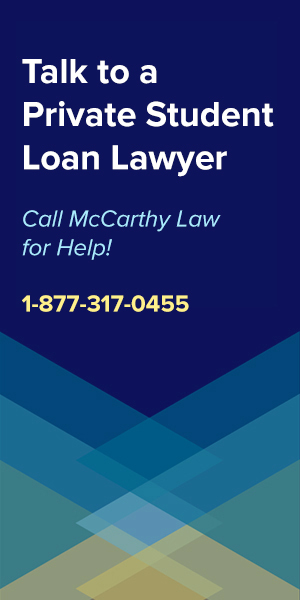 Also, if you have a wage garnishment in place then you’ll need to get it lifted before you can reconsolidate the loan. In order to reconsolidate a defaulted Direct Consolidation Loan you will need to add an eligible loan to the defaulted Direct Consolidation Loan. If you don’t have another loan to add to the reconsolidation then your best bet is rehabilitation. I have information on that below. Reconsolidating a Federal Consolidation Loan (FFEL) does not require that you add an additional eligible loan so long as you accept an income-driven repayment plan. You voluntarily make 3, on-time monthly payments on the defaulted loan before you reconsolidate it. If you choose this option then your loan holder will decide what your monthly payments should be. The Government requires that your servicer make those payments “affordable”, but there isn’t a metric to determine how much you can afford, so you’ll essentially be at their mercy. Moral of the story – don’t let your loans go into default, especially twice! If Consolidation doesn’t seem like the best option for you, don’t worry, because there are other ways to get your loans out of Default status, and one of the best ways is via a process called “Rehabilitation”. Rehabilitation does take longer than consolidation, and you can only do it once, but it is a great option for anyone where consolidation isn’t going to be a good idea. Just remember that because you’re limited to using Rehabilitation once, that you need to take the process seriously, and that it’d be a terrible idea to squander it by rehabilitating your loan, then allowing it to go into delinquency again. To qualify for rehabilitation you must agree to make 9 affordable and voluntary monthly payments. These payments can’t be more than 20 days late and you must make all 9 payments within a time period of 10 consecutive months. If your loan is in default, keep in mind that the involuntary payments (i.e. 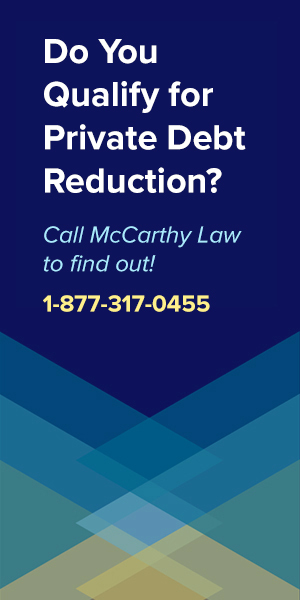 wage garnishment or Treasury offset) will be taken as well as these voluntary payments during that 10 consecutive months, so make sure that you can truly afford to do this before thinking that rehabilitation is a great idea. In fact, when your calculating the math on how much you’ll be paying each month, you need to keep in mind that the involuntary payments will continue to be taken from you until the loan is out of default status or until your loan servicer feels that you’re properly on the path toward rehabilitating your loan. 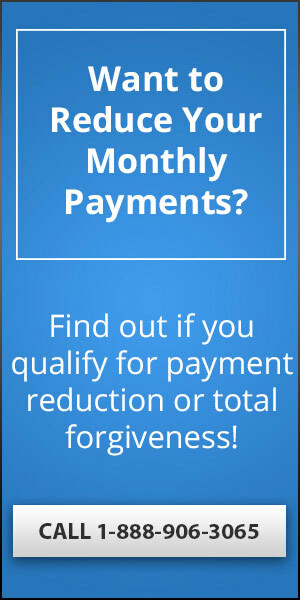 On that last point, it’s basically up to your servicer, and they can stop taking forced payments whenever they want, so one thing you might want to do is try to work out a payment schedule with them ahead of time, telling them that you want to do a loan rehabilitation, but that you’re only willing to do that if they’ll stop the forced payments after your third voluntary payment, or your sixth, or whatever you can get them to agree to. What that said – if I were you, I’d make sure to get that part in writing from the servicer, because they could tell you something over the phone, but then refuse to actually live up to the promise, and if you don’t have anything in writing then you’d be totally out of luck. How are the Voluntary Loan Rehabilitation Payments Calculated? The nice thing about the voluntary payments used to get your loan out of delinquent or default status is that they’ll be calculated based on income, so if you’re having trouble making money, then you may not need to pay much each month to get your loans back into repayment status. Let’s say that you make $30,000 a year and 150% of the poverty guideline for your state is $18,000. In this case, your discretionary income is $12,000 and you will need to pay 15% of that amount. The math comes out to being $12,000 * .15 = $1,800. Then $1,800 / 12 = $150 month. If this payment is too high you can negotiate with your loan holder for a lower monthly payment, but in many cases, you’re going to get offered a payment that’s significantly less than what you really should be paying, so don’t push your luck and simply agree to pay whatever the math turns up, as long as you really can afford it. Remember, to go through this process, you’re going to need to provide proof of income and expenses to your loan servicer, so the proper path to pursuing a rehabilitation is to get all that paperwork in order, contact your servicer to tell them you intend to rehabilitate your defaulted loan, then find out what you need to pay each month and start doing that. If your financial situation is bad enough (because you aren’t making any money at all, or because you’re making so little that your discretionary income is tiny) then it’s possible to wind up with a monthly payment of under $10. Perkins loans work differently, but their rehabilitation process is extremely straightforward. You can rehabilitate a Federal Perkins Loan by making 9 voluntary monthly payments for 9 months. These payments can’t be more than 20 days late. Your loan holder will determine your monthly payment amount. You will also regain all the benefits you had before you defaulted including deferment, forbearance, forgiveness, your choice of repayment plan, and eligibility for federal student aid. In contrast, student loan consolidation does not remove the default from your credit report. If you’re trying to choose between pursuing a Loan Consolidation vs. Loan Rehabilitation, please refer to the following table for details on how these processes compare to each other. Will it remove the default from my credit history? No Yes, the record of the default will be removed. However, your credit history will still contain a record of any pre-default late payments that were reported by your loan servicer. These late payments will drop off your credit report after 7 years. What About Refinancing my Student Loans? Refinancing allows you to combine federal and private loans together into one loan, but you need to keep in mind that this is almost always a terrible idea. Why? Because if you refinance by combining federal loans with private loans, you will lose the benefits of federal student loans, including the right to deferment, forbearance, loan forgiveness programs, and income-driven repayment plans. So, before you agree to do a refinance or consolidation that combines federal and private loans, make sure that you think carefully about the long-term repercussions you’ll face as a result. Personally, I NEVER advise people to combine Federal loans with Private loans, because I don’t see a single benefit to doing that, unless you count making one payment instead of two as a big benefit. What’s the difference between Federal and Private student loan delinquencies and defaults? 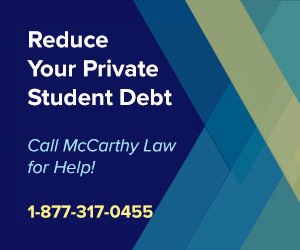 First, Private student loans don’t go into delinquency – they simply default as soon as you miss your first payment. However, there is one good thing about private student loan defaults. In most cases, your debt servicer or lender can’t start garnishing your wages or seizing social security benefits or tax refunds simply because you’ve defaulted – unlike the Federal officials, who can do this whenever they want, Private lenders actually have to take you to court and win a judgment against you in order to start collections activity. If you’re having trouble with Private student loans, my suggestion is to visit the Private Student Loan Relief page of my site, which offers all sorts of advice on things you can do to help reduce the burden of private loan debt. If you have any questions that I didn’t answer in the content above, please feel free to post them in the Comments section below. I check comments daily and will try to get you a response within 24 hours. If you don’t want to post in the comments, but do want to continue researching options for Federal and Private loans, I recommend checking out the many other pages of my site where I cover all sorts of different topics in comprehensive detail. To get assistance with Federal loans, visit my page on Help with Federal Student Loan Debt then look at my pages about Federal Loan Forgiveness Programs, Borrower’s Defense Against Repayment Discharges, the Closed School Loan Discharge Program, Federal Student Loan Bankruptcy Discharges, Federal Student Loan Consolidation Programs and Federal Student Loan Repayment Plans. And for assistance with Private loans, check out my page on Help with Private Student Loan Debt, or stop by my pages on Private Loan Forgiveness Programs, Private Student Loan Consolidation, Private Student Loan Bankruptcy Discharges and Private Student Loan Default Help. Hopefully, one of the pages listed above will help you figure out exactly what you need to do with your student loans, but again, if you still have questions after going through my site, please do feel free to post them away in the Comments section below.